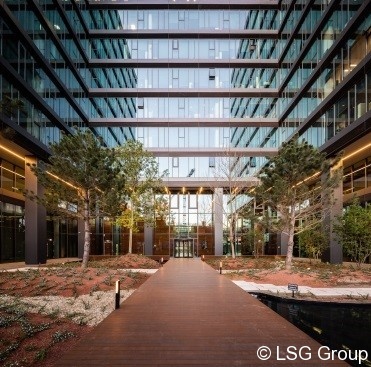 In December 2017, LSG successfully completed the design&build contract for The BRIDGE project, first stage.The high demands on the work quality and the short execution time including fit-out for the whole building, were the major challenges that our company faced.The building is structured on 2Bs + GF + 10 floors + Tech Floor, it has a total area of ​​51,000 sqm and is LEED PLATINUM certified. 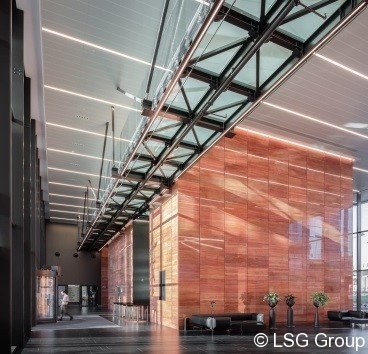 The scope of works of LSG BUILDING SOLUTIONS SRL included: water supply and sewage, sprinkler system, internal and external hydrants, heating, cooling, ventilation, electrical installations, low currents and BMS, facade lighting and also external mechanical and electrical installations. 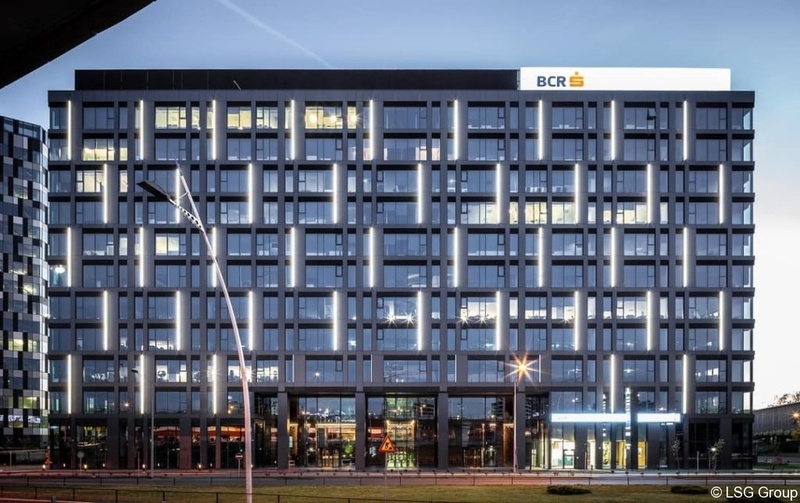 The building is located in Bucharest’s new business center Grozaveşti – Politehnică and has a very good connection with all the other areas, including the subway. It was sold to the DEDEMAN group and is currently leased entirely by the banking group ERSTE BCR and IBM.